Based on the theory that exercise of the eardrums aids certain cases of defective hearing, Dr. J. B. Prager, of New York City, has devised a phonograph that subjects patients, through earphones, to loud noises. His records include dynamite explosions, the shrieking and clanging of fire engines, thunderstorms, and waves beating on rocks. Knobs on a panel resembling a giant radio set regulate the volume. The full blast of a fire siren may at first produce only a pleasant tingling in the ears, Dr. Prager reports. I don’t know if it works or not, but that is one cool piece of equipment! What an amazingly stupid idea. I mean I could understand if they amplify music or speech, but having “loud noises” on records is just stupid. 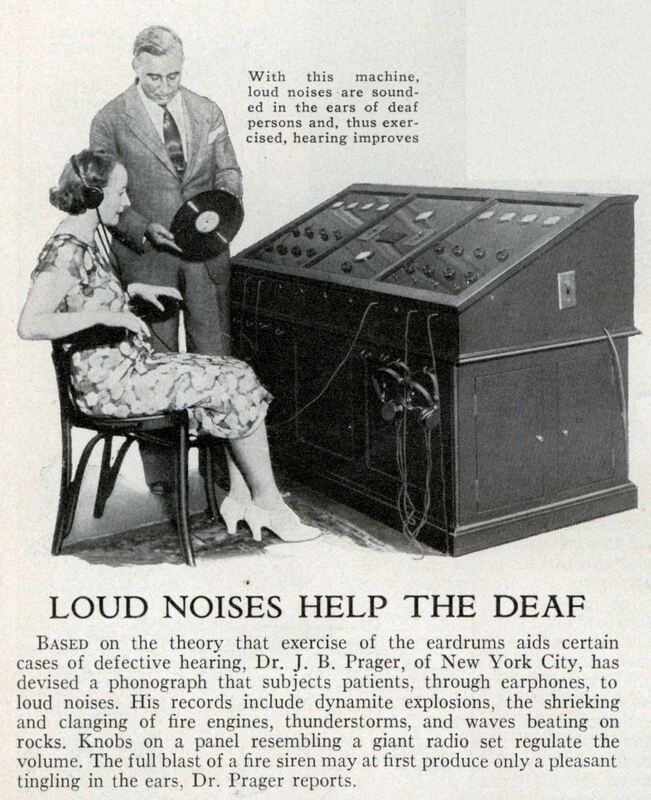 This device probably did much more harm than in ever did good in helping people hear. 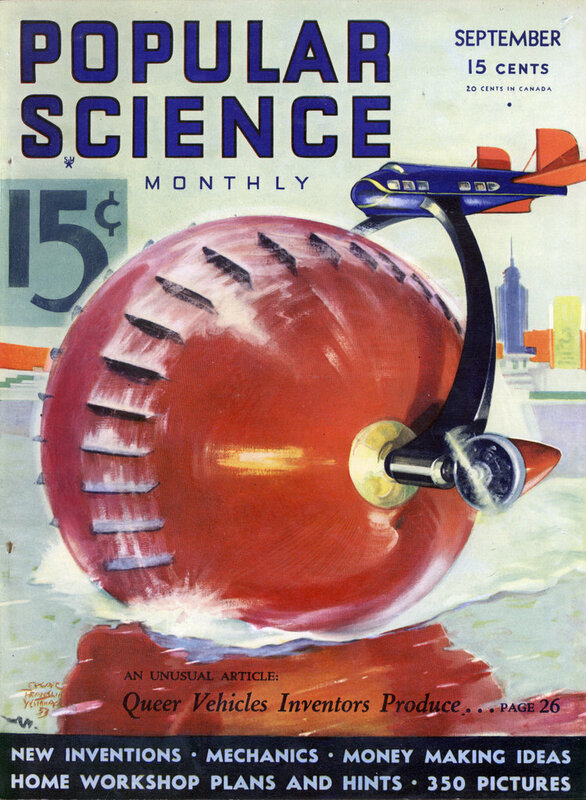 This idea was not new in 1933. You can see a much smaller and much older (1903)device in the Hearing Aid Museum at http://www.hearingaidmu…. Oops–sorry. In the above post the trailing period got added as part of the hyperlink so it bombs. Loud noises on record= stupid? Not simply because someone says so, but because recording and reproduction equipment of the day responded exceedingly badly to large amplitude sonds, given the coarsness of the physical recording medium and the surface speed of the disc. Particularly loud sounds cause the needle to jump rather than follow the rapidly deviating groove, and the excessive lateral force on the needle wears the disc out with alarming rapidity. It happened on some of the old Philips Hi-Fi 78’s in the early fifties, particularly with older repro equipment.